Dunster is probably the largest complete medieval village in England, with its 1,000 year old castle looking down on the historic village centre with its medieval Yarn Market, Watermill and unique selection of shops, cafes and restaurants. 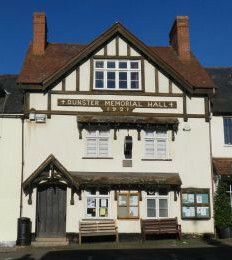 Ideally located next to the main car park on Dunster Steep. 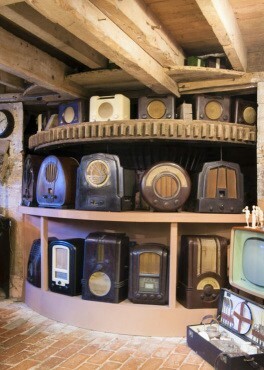 During the summer months it is open 7 days a week from10am to 5pm. 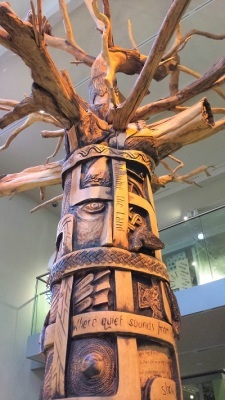 Inside you will find interactive exhibits, a video microscope and information leaflets, maps and books on the area that introduce you to the special habitat that is Exmoor. Visit the exhibition room and take the time to see the film introducing the National Park. 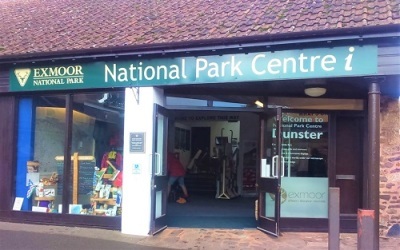 The knowledgeable staff will be pleased to assist with information about the National Park, surrounding villages and public transport in the area, including local bus services and the West Somerset Railway. 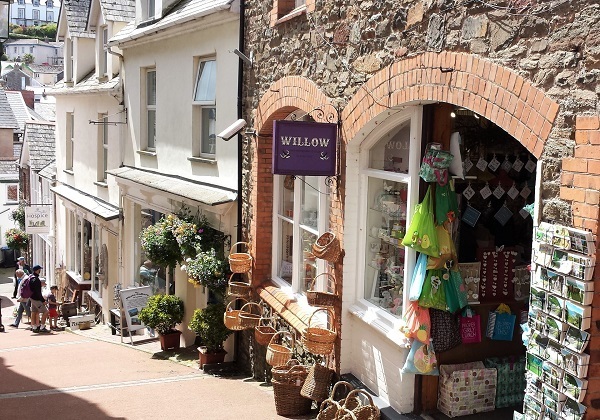 ​Enjoy strolling around the medieval village of Dunster with an Exmoor National Park guide to explain its fascinating history. 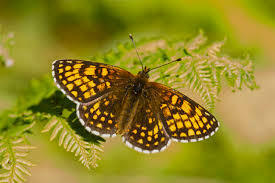 The walks start from the Dunster National Park Centre at 11.00am on Dunster Steep and are free of charge although donations for Care Moor for Exmoor are welcomed. Walks last for about 1.5 hours. 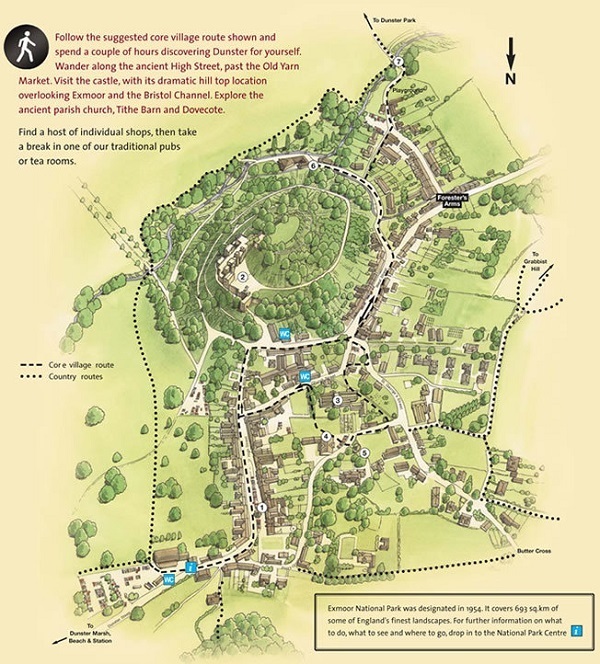 There are loads of other great walks in the area see our walk & explore page for further details. 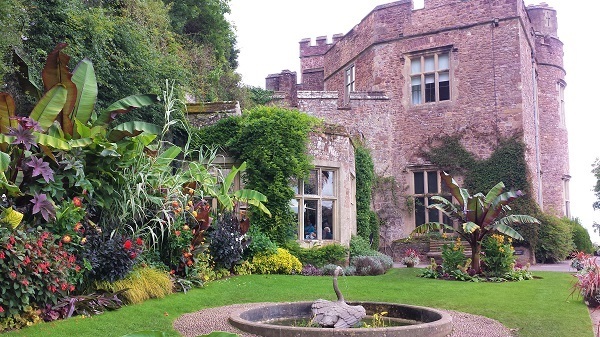 An ancient castle with dramatic views and subtropical gardens. 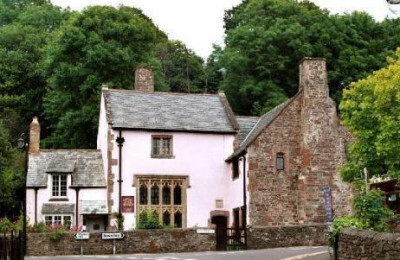 Sited overlooking Dunster village, a castle has existed here since at least 1,000 years ago, with an impressive medieval gatehouse and ruined tower giving a reminder of its turbulent history. 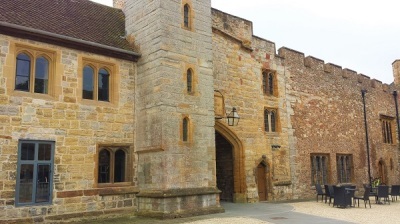 The castle that you see today was the country seat of the Luttrell family, who lived here for over 600 years. 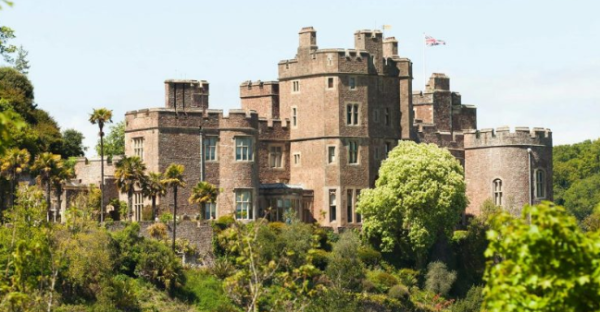 The castle boasts spectacular views toward the Bristol Channel, the Quantock Hills AONB and the moors of Exmoor National Park. 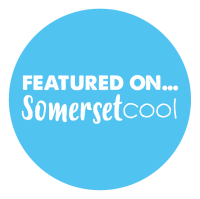 For lots more information about what's on, entertainment, places to visit and things to do within the county of Somerset click on the logos below. 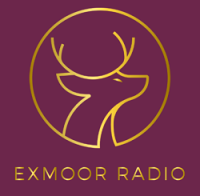 Exmoor now even has its own radio where you can listen to podcasts about local stories. 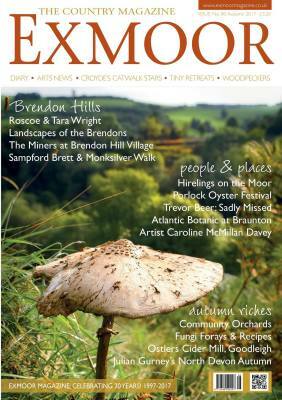 We particually like 'Secret Somerset and Exmoor' which has 50 hidden gems that locals and visitors have suggested. For more ideas please see 'Walk and Explore' and 'Where's Maverick' Blog. 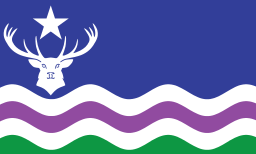 Exmoor National Park is an area of hilly open moorland, woodland, valleys and farmland bordering the Bristol Channel covering 268 square miles crossing the counties of Somerset and Devon. 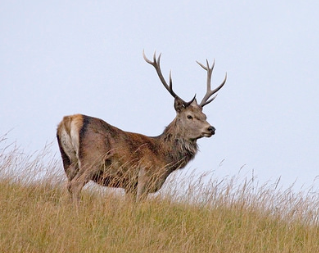 Below are just a few examples of what Exmoor has to offer during your stay. ​Exmoor is one of the few places in England where low levels of light pollution allow uninterrupted views of the night sky. On a clear evening, the night sky of Exmoor is simply stunning when many astronomical sights can be seen with the naked eye. 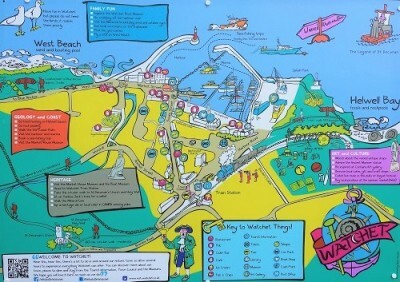 There are several ideal vantage points, Treborough and Webbers Post are the closest to Dunster Beach. Click on the image for further information and a map detailing the best stargazing locations. Driving across Exmoor you will probably see these wonderful ponies or you could visit the Exmoor Pony Centre, a small charity run business, owned by the Moorland Mousie Trust, working to promote and protect the endangered rare-breed Exmoor pony. Admission is free, there is a pony petting pen, paddocks, small visitor centre and picnic area. Dogs are also welcome. 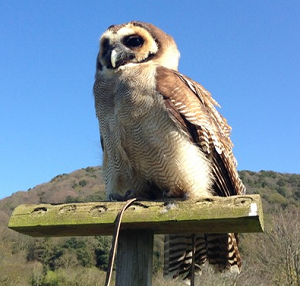 If you want to experience something a little different this attraction located in Allerford gives you the opportunity to meet birds of prey, enjoy demonstrations of them in flight, or to even fly them yourself. 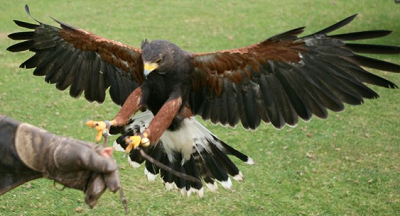 The centre offers 1 hour, half and full day birds of prey experiences or you could just watch the afternoon flying display. An ancient Exmoor clapper bridge, the longest of its kind in Britain, crossing the River Barle. 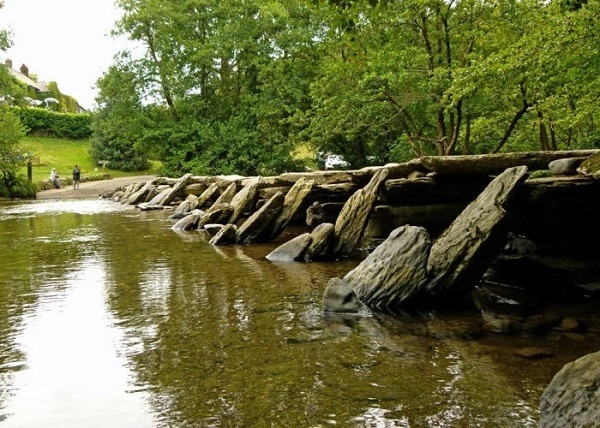 For a short stroll along the river, a day's walking in the heart of Exmoor or even for just a picnic Tarr Steps lets you walk in the footsteps of Exmoor's Past. According to local folk law, a deal was struck between an Exmoor Parson and the Devil that nobody shall cross the bridge if the Devil is sunbathing, the agreement still holds today. Whether it be an action packed, adrenalin pumped break away you're after or a more relaxing escape from the world, Exmoor has it all to offer plus all the bits in between. Below are just a few suggestions for activities with links to companies that can help make your dream holiday a reality. The first Dark Skies Discovery Site on Exmoor is open for tuition in various watersports activities, including sailing, windsurfing, canoeing and rowing. 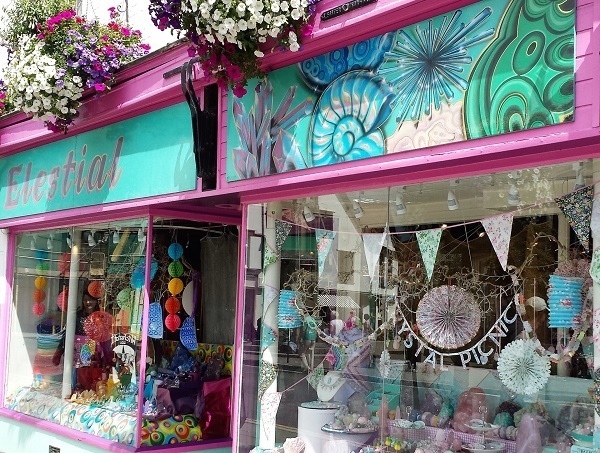 You can also launch your own craft or hire direct from the centre. 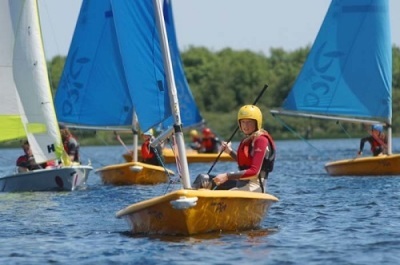 For those who prefer to stay on land there are also a variety of land based activities to choose from including climbing, high ropes, archery and cycling. 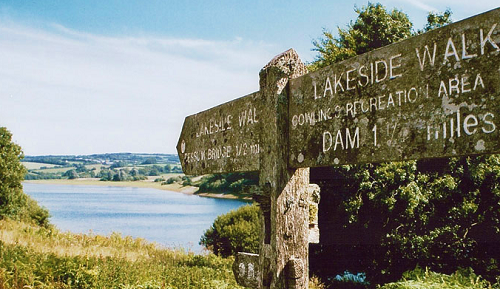 Wimbleball is also a premier trout fishery offering angling from the banks and boats. Surrounding the lake there are miles of footpaths including a 9-mile round lake walk and is ideal for dog walking. A Tramper, electric all-terrain mobility scooter designed specifically to cover rough ground is available to hire. One of the best ways to experience Exmoor is on horseback. Burrowhayes is one of several riding stables in the area, offering rides for all abilities, so whether you are a complete novice or a competant rider this centre caters for everyone. 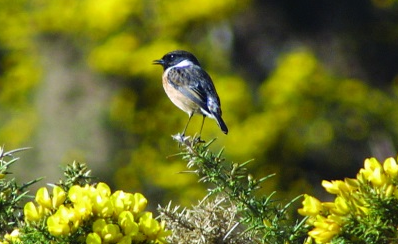 Escorted rides take you out to the glorious Horner Valley and open moorland of Exmoor. You can take in the breathtaking landscape with the added thrill of being on horseback. For a range of activities including mountain biking, kayaking, stand up paddleboarding, coasteering and canoeing plus loads more why not try the award winning based just outside Porlock. 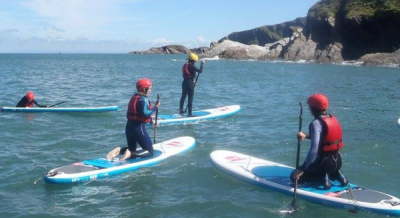 They offer everything from kayaking, stand up paddleboarding, coasteering and for land lovers wildlife tours, mountain biking and even knife and axe throwing. Barle Valey Safaries run 3 hour and all day tours through the summer season. 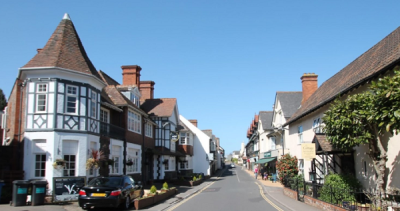 If your idea of shopping is to just browse around a selection of small independent shops, stopping for home-made cake or a local beer then you will love the local villages Dunster, Porlock and Watchet. Porlock and it's neighbour Porlock Wier with its pretty harbour and quirky cafes and artisan shops. 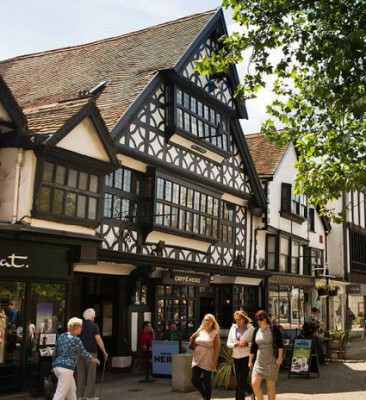 With over 90 famous name stores, you'll find a fantastic range of men's, women's and children's fashions, footwear and gifts all with massive high street reductions. 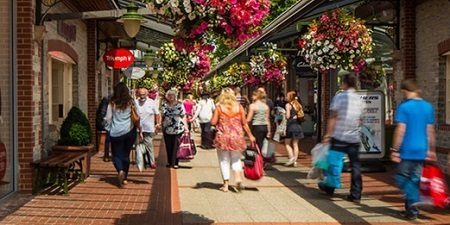 Clarks is an all day shopping event with cafe's, restaurants and is a shopaholics dream. 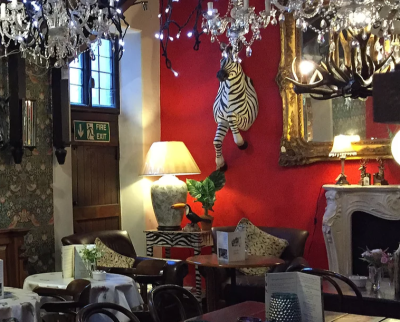 Why not have a drive through Exmoor and visit this beautiful Grade II listed building reminiscent of a small Liberty of London. 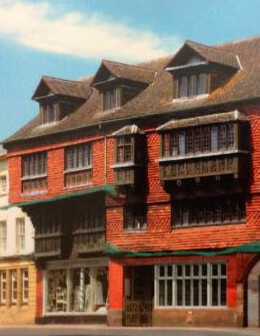 It is a showcase for luxury and individuality with goods you would not find on the high street. 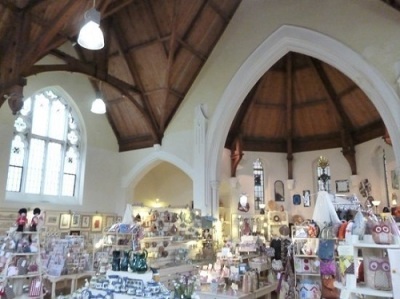 This converted chapel houses more than 50 local traders producing high quality goods from Exmoor and the surrounding area. 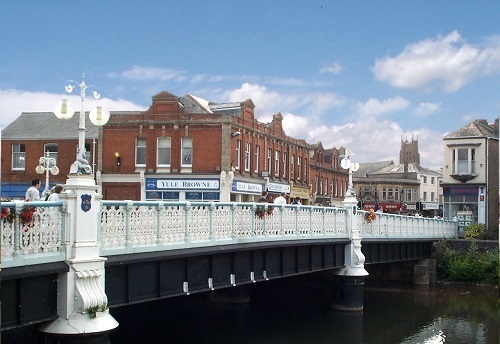 How about visiting the county town of Taunton it has all the usual High Street names and also a large range of independent shops, many of them long-established. You are able to park at the 'Park and Ride' at Silk Mills Road TA1 5AA, a hassle free way of arriving in Taunton. 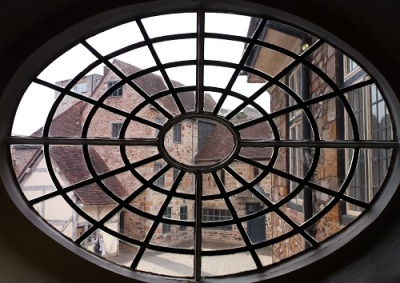 Within the 12th century Taunton Castle and with free admission this newly referbished museum is well worth a visit. 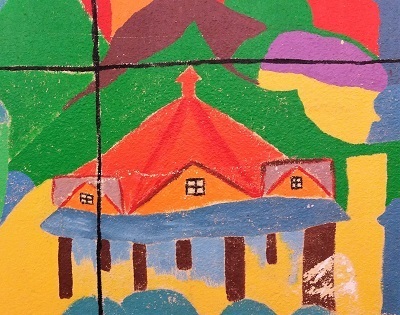 The wonderful new exhibits tell the county’s story from prehistoric times to the present day. 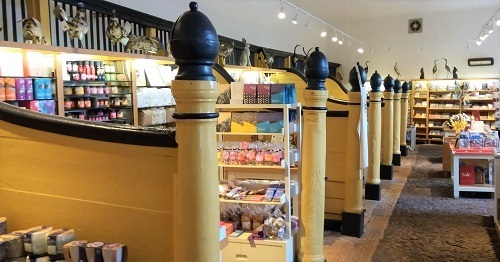 The museum also has a cafe and shop. 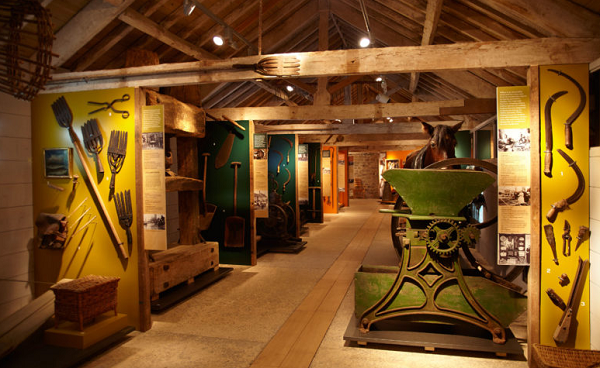 For an insight into Somerset's rural past this museum tells the story of Victorian domestic life, the farming year and local crafts and industries. The grounds contain a traditional cider apple orchard which is home to rare breeds of sheep and chickens. The Royal Navy In the Air. With 4 exhibition halls, over 90 aircraft, over 2 million records and 30 thousand artefacts the Museum is Europe's largest naval aviation museum. 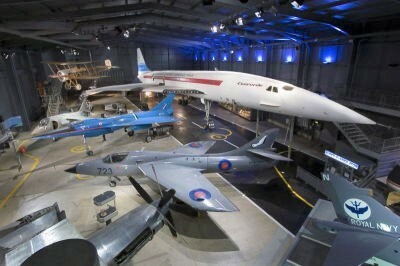 In addition it houses the Bristol built and Britains 1st Concorde which you can go on board and view the cockpit and also visit the award winning Aircraft Carrier Experience. Cafe and restaurant on-site. 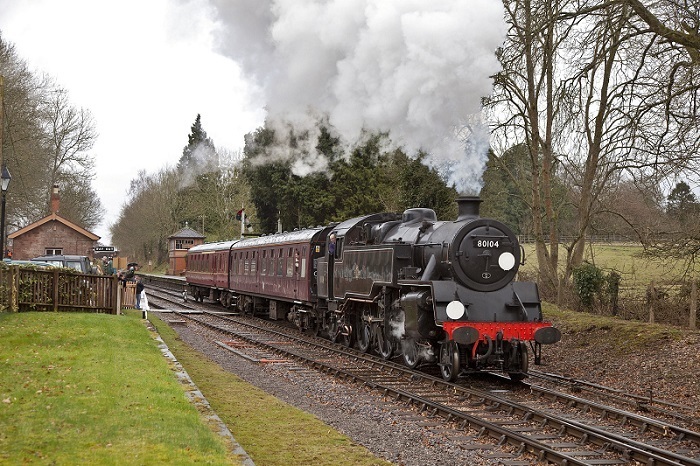 The West Somerse Railway is a 22 mile heritage railway that runs through Dunster en-route from Bishops Lydeard to Minehead, it is the largest independent heritage railway in the UK. Closed in 1971 as part of the infamous 'Beeching Cuts' of 1963, it was re-opened in 1976, initially as a commuter and tourist route for Minehead, but later as a heritage railway. Today the railway runs between March and October with special services operating between November and February. With its pretty period stations starting at Bishops Lydeard, continuing onto Crowcombe Heathfield, Stogumber, Williton, and Doniford Halt via the Quantock Hills and meets the West Somerset Coast at Watchet, Washford, Blue Anchor, and Dunster, terminating at Minehead. A freedom of the line ticket is available giving you unlimited travel for up to 7 consecutive days, a great way to explore West Somerset, dogs are welcome too.